Topic: What is up in Orthodox Hungary? Or "Mother Churches no better than Diaspora"
This Cathedral was built at the end of the 18th century by peoples of various ethnic groups, including Greeks, Wallachians, Albanians and Hungarians. It was consecrated by a Serbian bishop, under whose jurisdiction it remained from the time of its foundation. Services were originally held in Greek, a language which the parishioners from the 19th century understood less and less. In the first half of the 20th century the number of parishioners decreased, and it seemed as if the parish was doomed to die out if it had not entered a new phase of its life in 1949, when it entered the jurisdiction of the Moscow Patriarchate. (Btw, Cisleithania, i.e. the "The Kingdoms and States represented in the Imperial Council" of the Empire of Austria, had an autocephalous Metropolitan Synod in Vienna, a default position as the Metropolitan's see was in Czernowitz in Bucovina amongst the Romanians and Ruthenians, and the other, Serbian, Bishops were on the Dalmatian coast. The jurisdiction collapsed when the Metropolitan of Czernowitz united into the Patriarchate of Romania, and the Serbian Bishops of Dalmatia united into the Serbian Patriarchate). As the Serbian Patriarch of Karlovci, which continues in "Archbishop of Peć, Metropolitan of Belgrade and Karlovci, and Serbian Patriarch," presided over the Orthodox Episcopal Synod of Austria Hungary, and continued to exercize jurisdiction, in contrast to the Metropolitan of Czernowitz, in Transleithania, i.e. the Kingdom of Hungary, and the lands of Tranleithania, once the post WWII map abolished the distinction, he has the best claim to Austria. I do not know if he has so claimed. In the map, the autocephalous Metropolitan of Czernowitz had jurisdiction in the red, the autocephalous Metropolitan of Karlovci had jurisdiction in the light grey, except the far southeastern corner, i.e. Transylvania, where the autocephalous Metropolitan of Sibiu/Nagyszeben/Hermannstadt held jurisdiction. The dark grey was autonomous, still attatched to the Patriarchate of Constantinople. The Patriarchate of Serbia bought it after WWI from the Phanar. The Dormition cathedral was built in the 18th century by the joint efforts of Hungarians, Greeks and Moldo-Wallachians. It was under the jurisdiction of the Serbian Orthodox Church until 1949, when it was accepted into the Russian Church. This change of jurisdiction helped it not only to survive in a difficult and tragic period of official atheism, but also to rise to a new level thanks to His Holiness Patriarch Alexis I and the Holy Synod, who gave their blessing to use the Hungarian language during services. This historical decision predestined the fate of the cathedral and other churches of the Hungarian diocese which, at present, have essentially become the national Orthodox Church of Hungary. Thus, when the Orthodox community had to choose an ecclesiastical jurisdiction in 1991 after the fall of the communist regime, it unanimously decided to remain within the Moscow Patriarchate. The blessing to celebrate services in Hungarian, which was granted to the Cathedral by the Moscow Patriarchate, opened a new page of its history. All liturgical texts have been translated into Hungarian, and a unique Hungarian Orthodox tradition was formed. Over the last fifty years the parish has grown considerably. It now includes native Hungarians, including the descendants of its original builders, as well as Russians, Ukrainians, and representatives of other nationalities. The life of the cathedral community is characterized by its vivacity and fullness. All of its clergy are native Hungarians, and every Sunday the church is filled with hundreds of believers. Unfortunately, during the last few years the cathedral of the Dormition has become the target of unsubstantiated claims from the Patriarchate of Constantinople. Justifying their position by an arbitrary interpretation of the 28th canon of the Council of Chalcedon, which gives the bishop of “New Rome” the right to ordain bishops for the “barbarous lands”, the Patriarchate of Constantinople has filed a lawsuit with the intention of taking away this church, which it never owned, from our Hungarian Orthodox diocese. In doing so they did not take into account the fact that Hungary is by no means a “barbarous land”, but a country with an extremely rich history, where Christianity has been preached over the course of many centuries. We have no doubt that the Hungarian court will make an objective and just decision based exclusively on facts and documents, and not on unfounded and empty pretensions. We have no doubt that a country readying itself for joining the European Union will not allow Orthodox Hungarians to end up on the street in their own country. During the last few years the Cathedral of the Dormition became the target of unsubstantiated claims from the Patriarchate of Constantinople, which filed a lawsuit with the intention of taking away this church from the Hungarian diocese of the Moscow Patriarchate. However, the Municipal Court of Budapest, then the Arbitration Court of Budapest, and finally the Supreme Court of the Hungarian Republic made decisions that rejected the lawsuit of the Patriarchate of Constantinople. We are satisfied by these decisions of the Hungarian courts, but at the same we regret that the claims of the Patriarchate of Constantinople undermined the unity of the Orthodox Churches in Hungary. I would like, however, to stress the fact that this matter does not just concern church property and the fate of a single parish which some people are trying to divide. The question is about the future of Orthodoxy here in Hungary. Today we are faced with two radically different approaches to church life. For the Patriarchate of Constantinople the entire world, with the exception of traditionally Orthodox countries such as Greece and Russia, is seen as a diaspora, the “barbarous lands” for which Orthodoxy is something foreign. Many parishes of this Patriarchate in Europe have an overwhelmingly ethnic character, and services in them are held only in Greek. The Russian Church, on the contrary, believes that each country and people have the right to have their own Orthodox Church in which the faithful can hear the services in their native tongue. Moreover, we believe that local Churches have the right to become independent and to administer themselves. This is why the Russian metropolia in North America was reorganized as the autocephalous Orthodox Church in America, and the Russian metropolia in Japan – as the autonomous Japanese Orthodox Church. For the same reasons His Holiness the Patriarch Alexis II of Moscow and all Russia proposed three months ago the creation of an autonomous metropolia in Europe, which would lay the foundation for a future Orthodox Church of Western Europe. On 13 October took place a hearing of the Arbitration Court of Budapest concerning the case of the ownership of the Dormition Cathedral in Budapest. The plaintiff was the Hungarian Exarchate of the Patriarchate of Constantinople, represented by Metropolitan Michael (Staikos) of Austria, while the defendant was the Hungarian diocese of the Moscow Patriarchate, represented by Bishop Hilarion (Alfeyev) of Vienna and Austria, temporary administrator of the diocese of Budapest and Hungary. Lawyers Jozsef Paraizs and Eleonora Kiss also took part on the side of the defendant. Also present in the courtroom were Archbishop Pavel of Ryazan and Kasimov, clergy of the Hungarian diocese of the Moscow Patriarchate and parishioners of the Dormition Cathedral. The Arbitration Court, which is a court of second instance, examined the appeal submitted by the Hungarian Exarchate of the Constantinople Patriarchate after the Capital Court of Budapest, at its hearing on 17 May 2004, rejected its right to file a lawsuit, thus recognizing the claims to the Dormition Cathedral as unfounded. Having examined the documents submitted by both the plaintiff and defendant and heard the arguments from the lawyers on both sides, the Arbitration Court gave its verdict, according to which the decision of the Capital Court was left without changes. As is well known, the Cathedral of the Dormition, built at the end of the 18th century by Greeks, Macedonian-Wallachians, Hungarians and people of other nationalities, was under the jurisdiction of the Serbian bishop of Buda from the moment of its founding until the middle of the 20th century. From 1945 members of the parish asked His Holiness the Patriarch of Moscow and All Russia Alexy I several times to accept the parish into the jurisdiction of the Moscow Patriarchate. In 1949 the Hungarian deanery of the Moscow Patriarchate was formed, and in 1950 the Dormition Cathedral, along with several other Hungarian parishes, was finally taken into the jurisdiction of the Moscow Patriarchate. In 2000 the Hungarian deanery was made a diocese, with the Dormition Cathedral as the bishop’s see. During the court procedures of the first instance the Hungarian Exarchate of the Constantinople Patriarchate, registered in Hungary only since 1995, attempted to prove that it was identical with the parish that owned the Dormition Cathedral until 1950. However, the plaintiff was unable to furnish any documents that could confirm these unfounded claims. On the contrary, both the documents and the testimony of witnesses undoubtedly proved that the lawful legal successor of the Dormition Cathedral parish is the parish of the Moscow Patriarchate occupying it now, and that the Constantinople Patriarchate never owned this building at all. After examining all submitted documents and testimony of witnesses, the Capital Court, and now the Arbitration Court, handed down a verdict that rejected the lawsuit of the Patriarchate of Constantinople. The verdict of the Arbitration Court is binding from the moment of its signing. The clergy and faithful of the Hungarian diocese viewed this judicial decision with satisfaction and thankfulness to God. It is significant that the verdict of the Arbitration Court was handed down just several days after the Bishop’s Council of the Russian Orthodox Church addressed the Patriarchate of Constantinople with a call to forego its groundless claims to the property of the Moscow Patriarchate in Hungary, including the Dormition Cathedral in Budapest. Some might dispute that since Hungary does not have an Orthodox majority, it has no part in a Mother Church but falls within the so-called "Diaspora," the lands "outside of the specified boundaries of the individual local autocephalous churches’ regions/territories," as the canon 28 mythology defines it. Well, then you also have to dismiss Constantinople, Alexandria, Antioch, Jerusalem, Albania, Poland, the Czech Lands and Slovakia-I'd add the OCA, but most who would be foolish enough to dismiss Hungary's status as part of a Mother Church probably do not recognize the OCA. Once can also argue that Hungary qualifies, if, as is often argued, Constantinople counts as a Mother Church because it has jurisdiction over the New Lands (Northern Greece, Crete, etc.) in Greece. At least the Patriarchate of Serbia-to which Hungary belongs-sits in the majority area, and its suffragan the bishop of Buda (the Orthodox Diocese of Hungary) sits in the minority area, at his cathedral of Szentendre, a suburb of Budapest north of the capital. At least its diocese/see also has Faithful, not like the many dead and empty sees that the Phanar seems to favor to distribute to bishops in the non-Greek (and for Greeks, auxilary bishops) "Diaspora." Except for the Greeks it puts in empty sees to be put on its "Holy and Sacred Synod." However, the history of the diocese of Buda also resembles that of Constantinople-it is the basis of the present Serbian Patriarchate. And Hungary resembles Serbia in that it was in the jurisdiction of Old Rome, but it was evangelized by New Rome. So, what is the justification from the Phanar on its expansionist policies in Hungary? Has this really been "settled?" And why is there no EA in Hungary if it is "diaspora?" Re: What is up in Orthodox Hungary? Or "Mother Churches no better than Diaspora"
There is a Romanian diocese in Hungary, at Jula/Gyula with most of its parishes being the Romanian villages along the the border. Before being a diocese, all these parishes were administered by the bishops (now archbishops) of Arad. There is also a Serbian Diocese of Buda, which claims to have jurisdiction in the Czech Lands and Slovakia as well. That's not terribly mysterious. The only greater mystery than why the Phanar claims jurisdiction in Hungary is how Russia got jurisdiction in Hungary. Eastern Orthodoxy was one of the historically important religions in Hungary. Now Orthodox Christianity in Hungary has been the religion mainly of some national minorities in the country. In the 2001 national census only 15,928 persons declared themselves Eastern Orthodox (0,21 % of the people with declared religious affiliation and 0,15% of the whole population). Historically the territory of Hungary has been in exclusive jurisdiction of Serbian Orthodox Church, i.e. its Eparchy of Buda, with central in town Sentandreja, in Virgin's Cathedral (Belgrade Cathedral). Now there are other Orthodox denominations also active in Hungary. The Russian Orthodox Church has its Budapest and Hungarian Eparchy headed by Arcbishop Mark, with see in Budapest. The Budapest and Hungarian Eparchy of the Russian Orthodox Church has 11 parishes, with 8 priests and 1 deacon. The Romanian Orthodox Church has its Romanian Orthodox Eparchy of Hungary headed by Bishop Silian Mănuilă, with see in Gyula. The Bulgarian Orthodox Church has two parishes in Hungary - in Budapest and Pécs, with 1 priest. Both parishes are under the authority of the Bulgarian Orthodox Eparchy for Central and Western Europe. The Ecumenical Patriarchate of Constantinople also maintains its presence in Hungary. The Hungarian Exarchate is part of the Metropolis of Vienna of the Ecumenical Patriarchate of Constantinople. They have 4 parishes. So it seems the Diaspora isnt' the only place you can set up your own jurisdiction. But then we all knew that-or should have. The diocese of Gyula has 4 deaneries ("protopopiate), 21 parishes, 16 "filii" (villages without a permanent priest, served by the priest of a neighbouring full parish) and 4 monastic communities. if you have a point, spit it out. Don't require any sense from his posts. Comment on the Romanian language. So it has Slavic words. You don't have any Latin words in Polish? Hungary and Czechoslovakia. According to the old Hungarian law of 1868, and confirmed by the government of the new Czechoslovak republic in 1918 and 1920, all Orthodox Christians living in the territory of the former Hungarian kingdom came within the jurisdiction of the Serbian Patriarchate, and were served directly by Bishops [St.] Gorazd of Moravia and Dositheus of Carpatho-Russia. However, on September 3, 1921, the Orthodox parish in Prague elected Archimandrite Sabbatius to be their bishop, and then informed Bishop Dositheus, their canonical bishop about this. When the Serbian Synod refused to consecrate Sabbatius for Prague, he, without the knowledge of his community, set off for Constantinople, where on March 4, 1923, he was consecrated “archbishop” of the newly created Czechoslovakian branch of the Ecumenical Patriarchate, which included Carpatho-Russia. Then, on April 15, 1924, the Ecumenical Patriarch established a metropolia of Hungary and All Central Europe with its see in Budapest - although there was already a Serbian bishop there. “The scandal caused by this confusion,” writes Z.G. Ashkenazy, “is easy to imagine. Bishop Sabbatius insisted on his rights in Carpatho-Russia, enthusiastically recruiting sympathizers from the Carpatho-Russian clergy and ordaining candidates indiscriminately. His followers requested that the authorities take administrative measures against priests not agreeing to submit to him. Bishop Dositheus placed a rebellious monk under ban – Bishop Sabbatius elevated him to igumen; Bishop Dositheus gathered the clergy in Husta and organized an Ecclesiastical Consistory – Bishop Sabbatius enticed priests to Bushtin and formed an Episcopal Council. Chaos reigned in church affairs. Malice and hatred spread among the clergy, who organized into ‘Sabbatiites’ and ‘Dositheiites’. the Great Church of Constantinople, which has very close ties with the Hungarian people. It is a well-known fact that it was through this Church that the Hungarian people became acquainted with Christianity, and that very close ties were developed between the Christian kings of the Byzantine Empire and the Hungarian kings who converted to Christianity, resulting even in blood ties being formed. 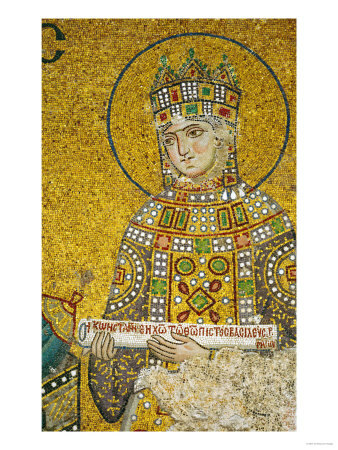 May I cite the example of the princess Anna, daughter of the Hungarian king Stephen V, who married the Byzantine emperor Andronicos II Palaeologos. Moreover, Mary, daughter of the Byzantine king Theodore I Laskaris became the wife of the Hungarian King Bela I. Let me mention also Irene, daughter of the Hungarian king Ladislav I, who married the Byzantine emperor John II Comnenus and was mother of Manuel I Comnenus. Yet even beyond these numerous examples, many Christian Greeks settled in Hungary during the Byzantine period, and their descendants are now Hungarian citizens. According to tradition, born of a dream is now a thousand years of Christian Hungarian state. Pope Sylvester II night vision, the angel of God, King of Hungary held the crown over his head. Thus fulfilled another dream: Charlotte, Stephen's mother, who - not long before the birth of his son - appeared in St. Stephen in a dream and said to him: "Son szülsz, who will be the nation's first monarch crowned. Give him my name." 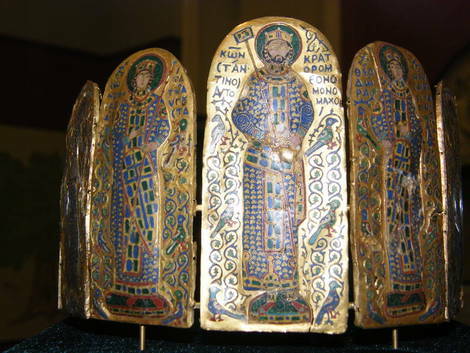 Adult Belts happy with Stephen's ancestors understood the history and meaning of baptism. The people entrusted belegyökerezte the gospel. Glaber Raul, the millennial historian notes: Stephen King brothers missed everyone and call countless crowds were on their way to Jerusalem. Provisions of the will, we read: "God and the dignity of people is especially good if everyone is free to live his life." Surely all these virtues also contributed to the St. Stephen VII. Gergely . At the time of Pope Gregory, in 1083 the Western Church canonized, 2000. August 20, and since the east is sacred. A thousand years after the crown has Asztrik father of Stephen Pope, a priority was five years ago, the Jubilee Year of St. Stephen's Day. In the August 20 St. Stephen's Day celebration, Cardinal Angelo Sodano Secretary of State for the papal legate to the Holy Father's message was received. Bartholomaiosz I universal patriarch of Constantinople and St. Stephen's Basilica Holy Mass held solemnly announced that the Orthodox Holy Synod, the Church of St. Stephen picked up one of the saints. The Orthodox Church is about the canonization of the holy synod decision. This decision was historic, since 1054, after the schism that has not happened to the Eastern, Orthodox Christianity, either in the West have recognized the canonized saints. In addition to this event has drawn attention to the Hungarian Millennium, an ecumenical point of view is a kind of convergence reported in the Catholic and Orthodox churches. Semjén Ps, then the Church Minister of State had an important role in the Byzantine Universal Patriarchate Holy Synod, was referred to St. Stephen szenttéavatási affairs, and that the universal Byzantine patriarch also honored with the presence of the millennium, through Aug. 20. "We, as Christians have a huge sin that separated from Christ's seamless robe, and my life with grace and honor to think that now is a stitch I could so that stitched together what at the time of our ancestors torn - said Semjén Ps. This is mere human ingenuity and diplomatic dexterity or even merely a historical argument could not be resolved, this God's grace works. " Wrong setting, that of St. Stephen of Western Christianity, on behalf of the Eastern Christianity and spiritual culture of have been a. Hierotheosz Orthodox bishop baptized at St. Stephen's mother, Charlotte, consequently, the country's founding king, mother of Byzantine Christianity was so St. Stephen has family ties is in the Eastern traditions. St. Stephen's Church, diplomatic and diplomatic genius shows that not only built in Rome and the pilgrimage church in Jerusalem, but Byzantium church was raised to a dazzling, which is diplomatic, but also a spiritual presence is pronounced. St. Stephen's operations and Hierotheosz inseparable. Hierotheosz was after the conquest of the Carpathian Basin, the first bishop. Coming from Byzantium brought us good news of Christ, and laid out the basis on which to build St. Stephen's name is linked to the west of the Hungarian mission complete recovery of major works. "The Hungarian Hierotheosz laid the foundations of Christianity, is the cathedral of St. Stephen and the related missions built by the west, these two were not constructive intent was contrary to" - emphasized Semjén Ps. The East-West dialogue built: III. King Bela, who was raised in the Byzantine Emperor, and St. Ladislaus daughter, Little Red Riding Hood, who is also known as Irene in Byzantium one of the most revered saint. Respect imperiously ruled for decades by the Byzantine Empire, and later as a monk, a beautiful example of holiness has shown us. Hierotheosz and holy as St. Stephen's recognition also indicates that the Eastern and Western Christianity in Hungary units. From this it follows that the Hungarian mission - even though clearly belong to the West - a bridge to the eastern and western traditions between. St. Stephen the Ecumenical Patriarchate of Constantinople canonization hope it also means that within the foreseeable future, either in Romania or the territory of the Moscow Patriarchate as a saint will be honoring our country's founding king. The specific powers of the Ecumenical Patriarchate Synod kalkedóni determined. The Patriarch of Constantinople, the first universal among the patriarchs, and the Universal Patriarchate steps, while respecting the autonomy of the local nature is normative for the rest of patriarchy. A bull five years ago, Bartholomaiosz patriarch in Greek, Hungarian State Secretary Zsolt Semjén then read out. Subsequently, the Primate's archives for disposal Paskal Cardinal Laszlo was handed over. . This is an indication that the primate of Hungary's most closely tied to the person of St. Stephen. Was this preparation for the attempted land grab? ^^ Is consistency a virtue when it serves a wrong cause? I suppose that having advanced its interpretation of Canon 28 it would be best to apply it consistently. Besides, the Second Rome and her Canon 28 is somewhat of a stumbling block to any pretensions that the Third Rome may have. It is a well-known fact that it was through this Church that the Hungarian people became acquainted with Christianity, and that very close ties were developed between the Christian kings of the Byzantine Empire and the Hungarian kings who converted to Christianity, resulting even in blood ties being formed. May I cite the example of the princess Anna, daughter of the Hungarian king Stephen V, who married the Byzantine emperor Andronicos II Palaeologos. Moreover, Mary, daughter of the Byzantine king Theodore I Laskaris became the wife of the Hungarian King Bela I. Let me mention also Irene, daughter of the Hungarian king Ladislav I, who married the Byzantine emperor John II Comnenus and was mother of Manuel I Comnenus. Yet even beyond these numerous examples, many Christian Greeks settled in Hungary during the Byzantine period, and their descendants are now Hungarian citizens. Not a word about the Serbs, Romanians, Ruthenians or Bulgarians. Like St. Stephen's sister, the Orthodox Tsaritsa of Bulgaria. Or the mother of the rest of his dynasty, Anastasia, the daughter of Yaroslav the Wise of Kiev, father in law of Europe. Or Geza I, who received what is now called the Holy Apostolic Crown of St. Stephen of Hungary from Constantinople and married into a family of Armenian/Georgian descent. How about Irene's sister (whom HAH mentiones above), who married Yaroslav of Halych, another Rurikid? What about King Bela II, the son of Helena of Serbia, who married Euphrosyne of Kiev, whose son Bela III was the heir of the Emperor Manuel I Comnenus mentioned above (and even presided over the Holy Synond in Constantinople in 1166), until he had his own (legitimate) son, and whose granddaughter became the Empress of Emperor Isaac Angelos in New Rome? Oddly enough, HAH doens't mention the fact that St. Stephen's mother was baptized Orthodox, her father Gyula III being baptized in Constantinople no less with the name "Stephen" (and brought back the bishop Hierotheos, the founder of the Orthodox Church of Hungary): is that because they didn't have any blood ties to any Greeks, but married Hungarians, thus being native Hungarian Orthodox? Or is HAH respecting the Vatican's chroniclers, who slander St. Stephan's mother as the Vatican's missionaries did in her own lifetime, and tried to void her influence in the palace? Other links include the fact that St. Stephen's brother-in-law and father of his successor, the doge of Venice, was deposed to Constantinople-St. Stephen's sister and nephew stopping and staying in Hungary. Stephen V's mother was Maria Laskarina of Nicea (when the Emperor and the EP had been driven from New Rome), and his full sisters Anna married the Rurikid Ratislav of Slavonia and Czar of Bulgaria and Constance married the Rurikid Leo of Halych (after whom Lviv is named), Grand Prince of Kiev. 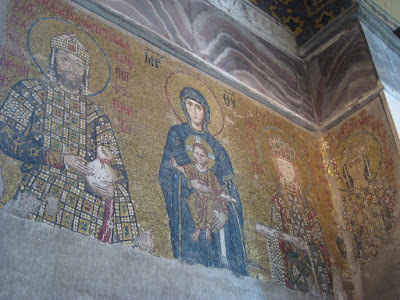 Two of Stephens daughters became queens of Serbia, in addition to Anna mentioned above. If His All Holiness would act more like an Ecumenical Patriarch and less like an ethnarch, he might have some of the influence and authority he claims. It's all very interesting ialmisry, but irrelevant to contemporary Hungarians. They are not likely to become Orthodox after learning these historical tidbits. Over the last millennium Hungarians have been quite busy suppressing and persecuting the Orthodox within their realms. With even more zeal than the Austrians. I however know some Hungarians in Romania that are Orthodox, either by marriage, or because they are the result of mixed marriages themselves. But, by and large, they kind of scorn the Orthodox faith because its association, I guess, with peoples they deem inferior to theirs. Did the Hungarians recently celebrate 800 years since accepting Roman Catholicism as their official religion and they accepted Roman Catholicism post-1054-schism? So, wouldn't the situation in Hungary be another canary in the mineshaft of the EP's intentions ... when it comes to America given that multiple Orthodox Jurisdictions exist in Hungary. You asked how the MP established a presence in Hungary? Hungary was behind the Iron Curtain. It's all very interesting ialmisry, but irrelevant to contemporary Hungarians. They are not likely to become Orthodox after learning these historical tidbits. Oh, you never know. It's quite chic I hear in Spain to convert to Islam to get in touch with your "Andulusian roots." Makes about as much sense as going to the church your granfather went to because your gradfather went to it. That's tradition! When it comes to Orthodoxy, doing the right thing for the wrong reason-whether from a fad or family-there's something to be said for that. Over the last millennium Hungarians have been quite busy suppressing and persecuting the Orthodox within their realms. With even more zeal than the Austrians...But, by and large, they kind of scorn the Orthodox faith because its association, I guess, with peoples they deem inferior to theirs. LOL. Indeed! The mindset which Synleszka amply demonstrates: if I denigrate those East of me, those West of me will embrace me as a brother. And the Austrians and Germans just laugh. The king is the representative of God Almighty, so therefore he is the Sovereign, the unquestionable power. The crown is only representation of the power. The nation is hierarchically below the king. The Sovereign is not the king, but the Holy Crown. This is the unquestionable power, as it is the entity connecting heavenly to earthly. The crown is therefore a living entity and sacred, from this point it is the symbol of the permanence of the heavenly transcendent presence. The sovereignty belongs to the nation (through the Holy Crown). The nation is sharing a portion of the political power with the ruler. None can reach full power. The right of resistance against illegal/unconstitutional acts/commands. Minority cannot rule over majority (avoiding tyranny and oligarchy). the defence of the country and as well as the "received" (or immigrated) peoples living in the country. In 1000 or 1001 AD, then on 15 August 1038 on the day of Nagyboldogasszony at Székesfehérvár, King Saint Stephen of Hungary offered Hungary to the Blessed Virgin Mary (whose Hungarian name is Nagyboldogasszony, literally meaning "The Great Blessed Woman") in the likeness of the Holy Crown. His aim was to establish a contract between Heaven and Earth which made the Carpathian Basin Virgin Mary's country in such a way that no earthly power be able to render it undone. The doctrine of the Holy Crown is King Stephen's conscious constitutional composition. First passed on verbally only, the doctrine became refined, more detailed progressively, so it was soon time to text it. The doctrine was first committed to writing by István Werbőczy in his corpus of rights called the Tripartitum, published in Vienna, in 1517. It declares that the body of the Holy Crown is the territory of the country, its members are the citizens of the country. The source of all the power and rights is the Holy Crown, the sovereign acts only in the Crown's name. Besides, in the case of forfeiture of property the estate escheats to the Crown and the king may bestow it again only because the rights of the Holy Crown were assigned to him when he was crowned. The joined countries (or better, co-countries, társország, meaning they are not higher or lower in any hierarchy): Transylvania, Croatia, Slavonia and Dalmatia are the lands of the Holy Crown. Péter Révay, a Crown Guard expounds the doctrine in his works Commentarius De Sacra Regni Hungariae Corona (Explanation of the Holy Crown of the Kingdom of Hungary, published in Augsburg, 1613) and De monarchia et Sacra Corona Regni Hungariae (About the Monarchy and the Holy Crown of Hungary, Frankfurt, 1659), and calls it the law of laws. 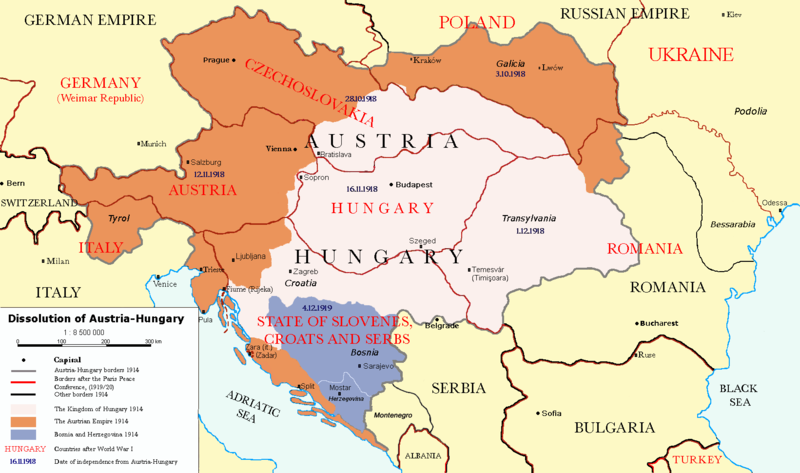 After the defeat suffered at World War I, despite having no king, Hungary kept its constitutional form, the Kingdom. The power was held by Regent Miklós Horthy in the name of the Holy Crown. According to the Doctrine of Holy Crown, it is acceptable to have a "kingdom without a king", as the main ruling power in this political system is not the king, but the crown itself. The doctrine is in conflict with the current Constitution of the Republic of Hungary, which states that "Hungary is a Republic" and that "n the Republic of Hungary all power belongs to the people." The Doctrine in detail1. His Majesty the Holy Crown is a person (living entity). The Holy Crown embodies the state of Hungary. As is the case with all European Christian crowns, it symbolizes a halo and thus signifies that the wearer rules by Divine Right. According to popular tradition, St Stephen I held up the crown during the coronation (in the year 1000) to offer it to the "Nagyboldogasszony" (the Virgin Mary) to seal a divine contract between her and the divine crown. After this, the "Nagyboldogasszony" was depicted not only as patrona (patron saint) for the Kingdom of Hungary but also as regina (i.e. "queen"). This contract was supposed to empower the crown with divine force to help the future kings of Hungary and did help reinforce the political system based on the Doctrine of the Holy Crown. One version of the origin of the crown is written by bishop Hartvik (between 1095–1116), in which the "Pope" has sent King Stephen I "his blessings and a crown". The basis for this belief is a biography by bishop Hartvik written around 1100-1110 at the request of King Könyves Kálmán. According to "Hartvik’s legend", St Stephen sent Archbishop Astrik of Esztergom to Rome to ask for or require (both are possible from original Latin script) a crown from the "Pope", but it does not tell the name of the Pope. No matter how much Astrik hurried, the Polish prince, Mieszko I's envoy was quicker, and the crown was prepared for the future Polish king. The Pope had seen a dream during the night, seeing the angel of the Lord telling him there will be another envoy from another nation, asking for a crown for their own king. The angel told the Pope: "There will be another envoy from an unknown folk, who will ask for [or require] a crown, too, please give the crown to them, as they deserve it". The next day Astrik approached the Pope so he gave the crown to him. "Hartvik’s legend" appeared in the liturgical books and breviaries in Hungary around 1200, recalling the then-existing Pope, Pope Sylvester II. Consequently the story of how the crown had been sent by Pope Sylvester II spread throughout the Christian world, so in 1613, crown guard Péter Révai states that the entire crown was given to St Stephen by Pope Sylvester II....Also, in the "Greater Legend" of St Stephen, written around the time he was canonised (1083), we learn only that "in the fifth year after the death of his father (...) they brought a Papal letter of blessings (...) and the Lord’s favoured one, Stephen, was chosen to be king, and was anointed with oil and fortunately crowned with the diadem of royal honour"...the Vatican has a clear interest in handing over the crown from Rome, as it is representing dominance over the Kingdom of Hungary...Thietmar von Merseburg (died in 1018) reports that Otto III of the Holy Roman Empire has consented to the coronation of St. Stephen, and the Pope is sending his blessings; so many historians argued he has also sent a crown...The Crown is a coronation crown, which should be worn only on the occasion of a coronation, and for the rest of the time two crown guards (koronaőr) guard it. Apart from this, there are only two other people who can touch it, the nádorispán (the highest secular title), who puts it onto a pillow during coronation, and the Archbishop of Esztergom (primate of Hungary, the highest ecclesiastical title), who places it on the head of the king. the wee little Hungarians have this beaten into their mush, but the delicious (for us easterners) part comes when you look at what they are talking about. Notice the difference between the Crown on top of Hungary's coat of arms and the crown on (lower right/sinister) the coat of arms. I've had the good fortune to have seen Hungary's Crown, and also Hagia Sophia, the Great Church of Christ, where I saw Constantine Monomachos IX wearing his crown, with the Empress Zoe. There's a reason why I focused on the Empress. Look at her crown. Another ancient element of the coat of arms is the double cross. For a long time, it was thought to have been given to Saint Stephen by the pope as the symbol of the apostolic Kingdom of Hungary. Today, the most accepted theory is that it derives from Byzantine influence, as the cross appeared around 1190 during the reign of King Béla III, who was raised in the Byzantine court. The cross appears floating in the coat of arms and on the coins from this era. Hungarian and Slovak (as the symbol is also used in the coat of arms of Slovakia) heralds have opposed the theory that the double cross is derived from Saints Cyril and Methodius. Since SS. Cyril and Methodius personified "Byzantine influence" (being sent by EP St. Photios of Constantinople-of "Photian Schism," i.e. East versus West, fame-coming from the 2nd "Byzantine" city, Thessalonika), not sure what the Hungarian and Slovak heralds are trying to accomplish. I however know some Hungarians in Romania that are Orthodox, either by marriage, or because they are the result of mixed marriages themselves. It seems there are Hungary Orthodox as a result of conviction.